Are your utility bills increasing for seemingly no reason? You may need a home energy audit, which can show you where your home is losing energy. If your home isn’t adequately insulated or is energy inefficient in other ways, it can cost you a ton of money. Fortunately, an energy audit can help identify these issues. If you’re interested in an energy audit for your home in Suffolk, Virginia, look to the team at Tidewater Insulators. Your home is your biggest investment, so make sure you get the most out of it! Many homes built in Suffolk before the 1980s were not required to seal electrical and plumbing penetrations to the attic or any crawl spaces. Because of that, many of these homes have tiny holes, cracks and gaps through which air leaks in and out. Air leakage can cost you money in added heating and cooling costs and affect your overall comfort. 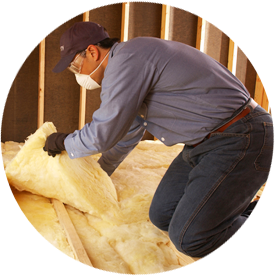 Need to re-insulate your home? Tidewater Insulators offers FREE home energy audits for homeowners in the Suffolk, VA area. Schedule an appointment today with our experts to see how you can improve energy efficiency and start saving money!